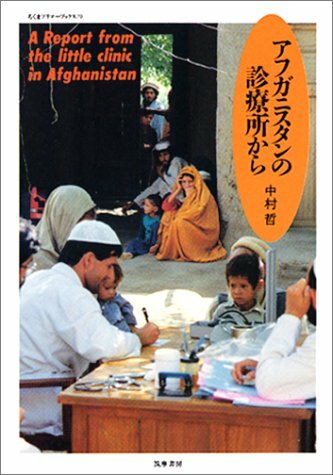 For 30 years, Dr. Tetsu Nakamura has been taking the lead in medical services, land reclamation and social welfare for the sick, the poor and the vulnerable in Pakistan and Afghanistan. His profound thoughts, speeches and written work, built upon first-hand experience, have been highly praised worldwide as an intellectual means to create true peace, by seeking for cross-cultural understanding and mutual respect. For 30 years, Dr. Tetsu Nakamura has devoted himself to the medical treatment, land reclamation and local welfare of poor and vulnerable people in Pakistan and Afghanistan. His thoughts, speeches and written work based on his first-hand experiences in those countries aim at enhancing cross-cultural understanding and respecting different cultures. His work has been highly praised internationally as providing an intellectual basis for building genuine peace. Dr. Nakamura was born in Fukuoka City in 1946. After graduating from Kyushu University School of Medicine in 1973, he worked as a medical doctor in hospitals in Japan. In 1984, he moved to Peshawar Mission Hospital in the capital city of North-West Frontier Province of Pakistan. Ever since, starting with leprosy and intestinal infectious diseases which are common among the poor, he has widened his working sphere even to refugee camps and villages in the mountains (Medicine Beyond Borders). He was also involved in digging 1,600 wells in Afghanistan in order to tackle droughts which have happened with increasing frequency since the beginning of this century (A Doctor Digs Wells), and in building a 25.5 km canal to carry water from the Kunar River (A Doctor Builds an Irrigation Canal). Approximately 15,000 ha of farm land has been recovered or newly reclaimed. Irrigation construction work has produced employment opportunities which have encouraged refugees to come home, and rehabilitation of their farm land has enabled them to regain their peaceful farming life. The number of people benefitted is estimated at over half a million. Dr. Nakamura has never limited his work to his commitment to providing medical services and taking initiatives in international cooperation as the Representative of Peshawar-kai in Pakistan and Afghanistan. In the Journal of Peshawar-kai, and in newspapers and magazines, he also publishes his thoughts which were developed from his deep insight into Islam and the contemporary world through his experiences, and he makes endless efforts to address people about the necessity of social reform by way of non-violent means (A Doctor’s Perspective from the Border, Bombardment and ‘Rehabilitation’, Unarmed Volunteers). He has published more than ten books which are well-written and easily readable, and present a comparative cultural theory based on the situation in Afghanistan. 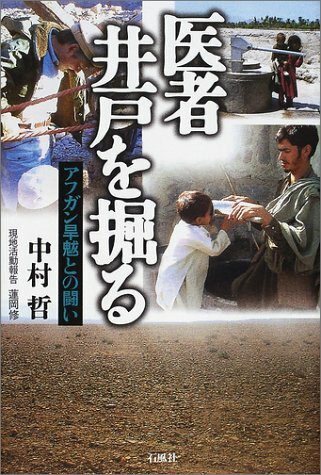 These books persuade readers to view the world from a different angle and to put themselves on the same side as the local people when thinking about it. A sustained intellectual endeavor to create a better society, on the basis of profound understanding of different cultures, achieved through comparing one’s own culture to others and so reconsidering it, is a fundamental principle of international cooperation. In his work, Dr. Nakamura has made it his highest priority to respect local residents and their culture, which is indeed the original and true essence of cross-cultural understanding and international cooperation. For 30 years, Dr. Tetsu Nakamura has exemplified the very spirit of the Fukuoka Prize which was founded in order to contribute to the promotion of culture, mutual understanding and peace. He is truly worthy for the Grand Prize of the Fukuoka Prize. Public Lecture by Dr. NAKAMURA will be held in ACROS FUKUOKA on September 14, and he will introduce his idea and thought on his specialized field in his lecture, talks with panelists. Dr. Tetsu Nakamura and Prof. Augustin Berque Induced into the 8th Earth Hall of Fame Kyoto! Dr. Nakamura wins Kikuchi Kan Prize !